The Language department has invited entries from prominent publishing houses, media houses and freelance authors for their books published during 1 January, 2014 to 31 December 2014 for the ‘Best Literary and Printing Awards-2014’. 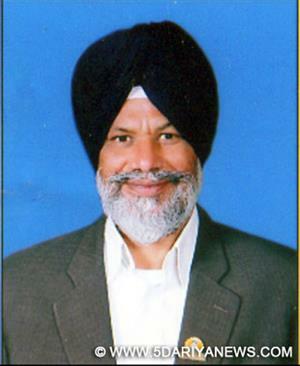 Disclosing this in a press communiqué Surjit Singh Rakhra, Higher Education and Language Minister said that the awards would be conferred for total 21 different categories. He said prizes would be given for the books published in Hindi, Punjabi, Urdu and Sanskrit language. Mr. Rakhra said that the Language Department has instituted the awards to encourage the authors and to popularize book reading culture. He said that interested contenders may send their entries to the Language Department, Patiala till April 30, 2015. He said that every contender must deposit 4 copies of each book. He said that award would also be given for the best printing for Punjabi, Hindi , Urdu and Sanskrit books. He said that the publisher would have to send two copies of a book for each language with his application for the prize. It is pertinent to mention here that the Language Department has recently gave away the Best Literary and Printing Awards in and impressive function held at Patiala.